An appealing scrub with a silky oil texture and the fragrance of prized energizing and toning essential oils. The exfoliating action of the Salt crystals helps to remove dead cells, renew the skin and prepare it for subsequent treatments. The formula has been created for active women. 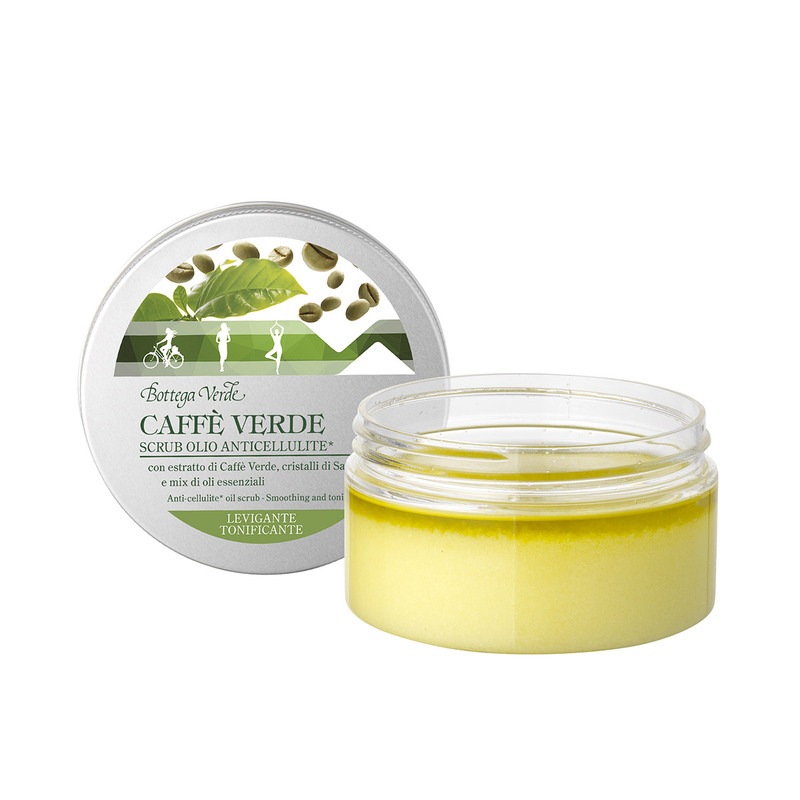 It contains a blend of targeted ingredients to make skin tissue more toned and compact, including Green Coffee extract and a distinctive microalga. It is great for complementing exercise and it is the ideal product for starting an anti-cellulite* and toning routine. An appealing scrub with a silky oil texture and the fragrance of prized energizing and toning essential oils. The exfoliating action of the Salt crystals helps to remove dead cells, renew the skin and prepare it for subsequent anti-cellulite* treatments. Direction for use:How to use it: mix the salt with the oil and rub it into damp skin. Rinse with warm water. Scent:A synergistic array of Neroli, Bitter Orange, Lavender, Scots Pine, and Ylang-ylang essential oils. Suggestions:Anyone who wants an appealing scrub with a silky oil texture and the fragrance of prized energizing and toning essential oils. Characteristic:A scrub with an oily texture. Choose it if you want a product that contains no mineral oils or colourings.